Judy is available during regular business hours, as well as some evenings. She is excellent about serving her client’s time frames & schedules, and is sensitive to the busy lives they have. It’s easiest to contact Judy by email and include: 1. When you would like to travel, and/or 2. What Disney Destination you are interested in. She follows up with a phone consultation, but is always quick to accommodate your communication preference if e-mail is more convenient for you. 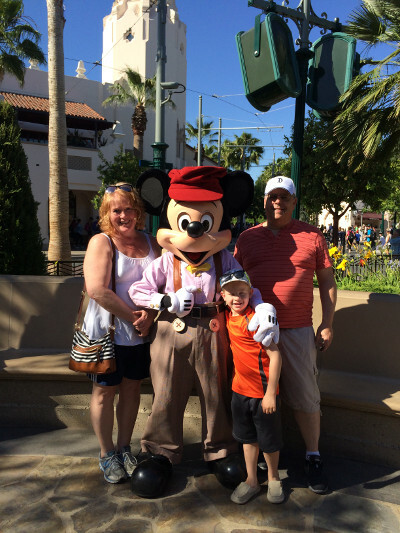 Judy brings great value to clients because she shares her Disney travel experience. She has proficiency, travel tips, and ‘know how’ to help you that would normally take up a lot of your time if you were to attempt your own vacation planning. For the same amount of money you would spend booking a trip on your own, you can connect with Judy and ‘be in the know’. Clients experience a vacation that’s organized before arriving to a Disney Destination vacation. She is with each client every step of the way. There is much more ‘bang for the buck’ when they book with Judy. Judy’s attention to detail to research specific ‘special requests’ of her clients is unstoppable. Do you have anniversary, or birthday celebration that you want to make memorable? Judy is your person to help plan a stress free, memorable and relaxing trip.